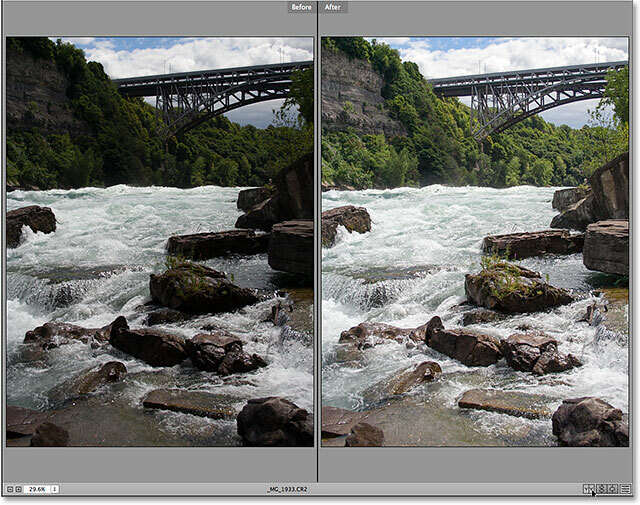 In this tutorial, we'll learn all about the new Before & After previews that Adobe recently added to Camera Raw in Photoshop CC (Creative Cloud) which make it much easier to preview our work and compare it with the original version as we're editing and retouching our images. 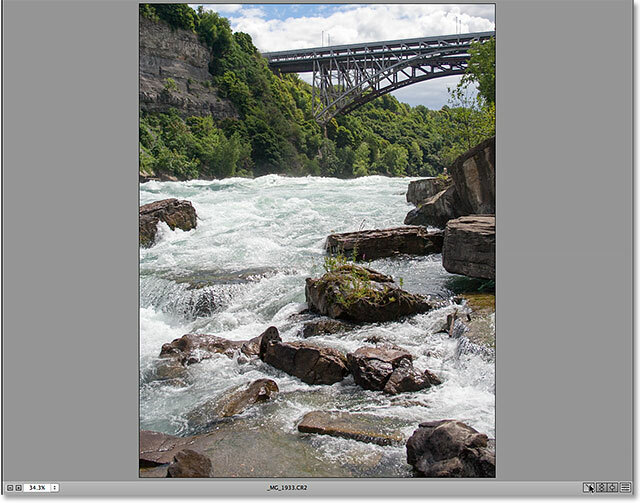 I'll be using Camera Raw 8.5 here, the latest version at the time I'm writing this. 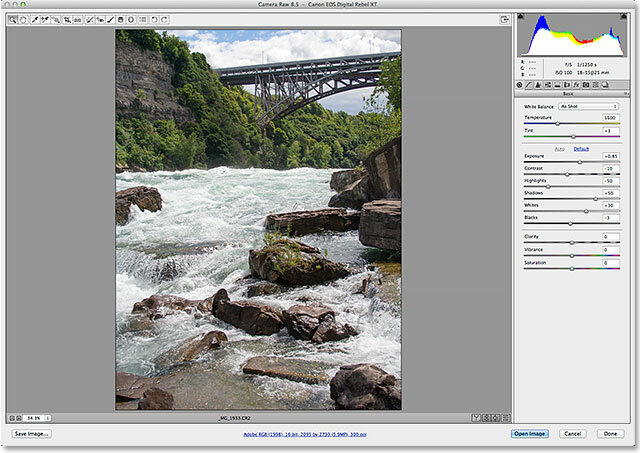 To access these new preview features, you'll need to be running Photoshop CC, available with an Adobe Creative Cloud subscription. The four new preview options. Clicking the Auto button in the Basic panel. The image after the auto correction. Clicking the Panel Preview icon. The image with the Basic panel's preview turned off. Clicking the Panel Preview icon again to restore the settings. The image with the Basic panel adjustments restored. Clicking the Before & After icon. The left and right side-by-side view. Both versions of the image will zoom and scroll together. 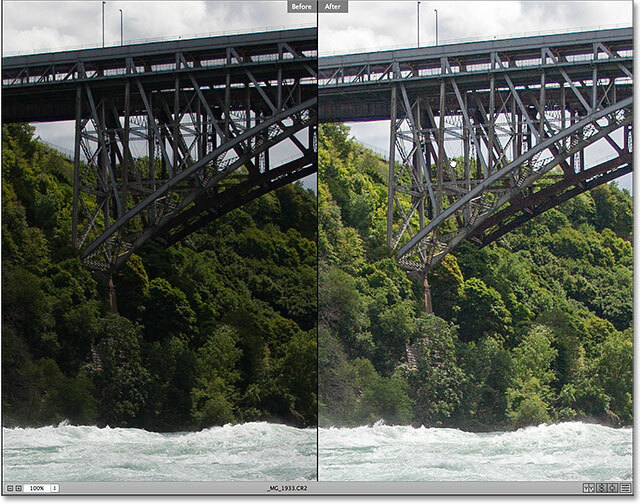 The left and right split view. The top and bottom view. The top and bottom split view. Back to the original single view mode. Click and hold on the Before & After icon to access the preview mode menu. Clicking and holding on the Before & After icon. Unchecked preview modes will no longer appear as you cycle through the views. 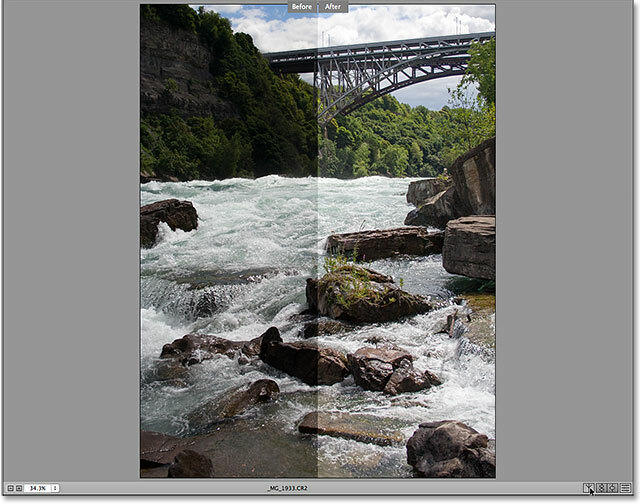 Use the first two options to turn the divider line between the Before & After views on or off. The "Before" and "After" labels. Use the Panel labels option to show or hide the words "Before" and "After". Clicking the Swap Before & After icon. The Before and After versions have been swapped. 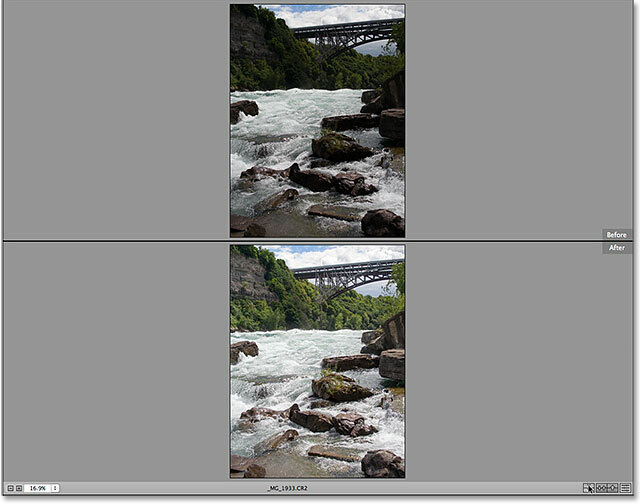 The final new preview option in Camera Raw is, I think, the most useful and interesting of the bunch, and here's why. As you continue making adjustments to your image, you may get to the point where you know the adjusted version looks better and there's no longer any need to keep comparing it to the original unedited version. Instead, you may start thinking something along the lines of, "I really like how my adjusted version looks in color, but I wonder how it would look in black and white". Clicking the Copy Current Settings icon. The original version has been replaced with the current version in the Before preview. 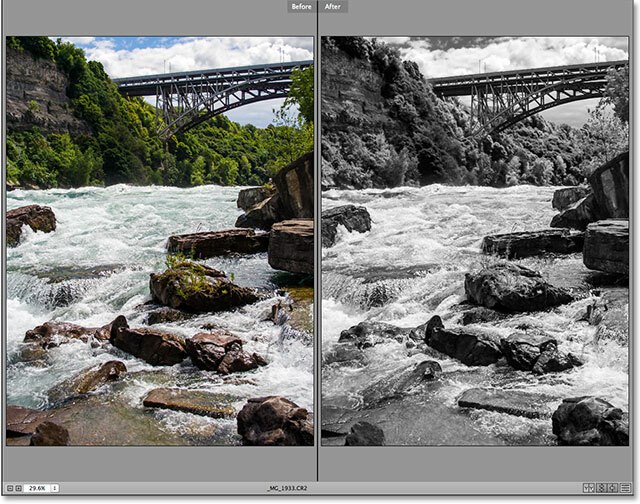 Creating a custom black and white version in the HSL / Grayscale panel. The full color Before and black and white After versions. And there we have it! 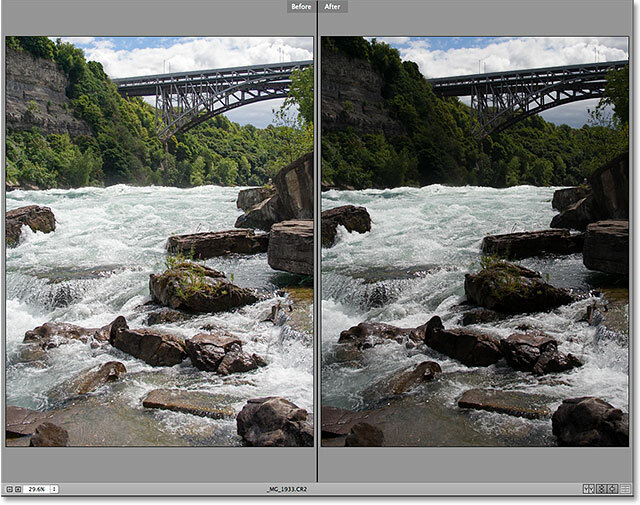 That's a quick look at the new Before & After preview options in the latest version of Adobe Camera Raw, available exclusively in Photoshop CC (Creative Cloud)! Check out our Photo Retouching section for more Photoshop image editing tutorials!